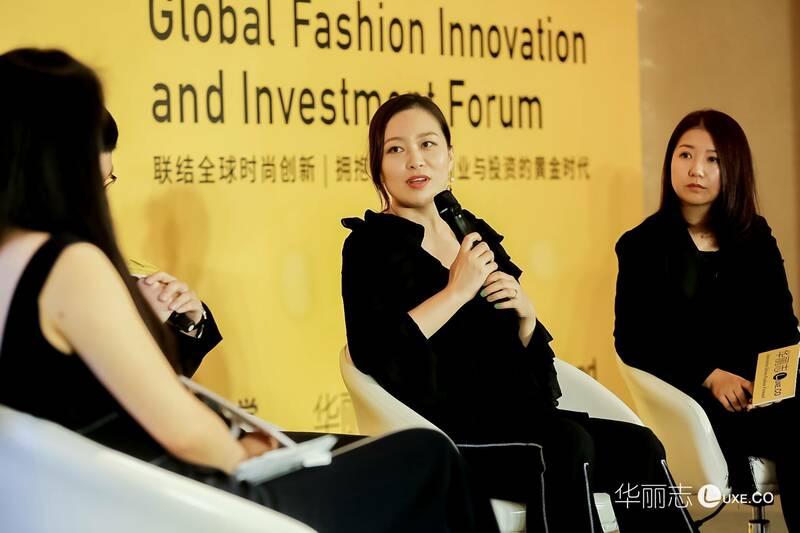 At the roundtable discussion “New Ecology of Fashion Consumption Entrepreneurship” at Luxe.Co Global Fashion Innovation and Investment Forum (LGFIIF), Mengyuan Liu, Founder of YCloset (刘梦媛，衣二三创始人) shared her opinion. 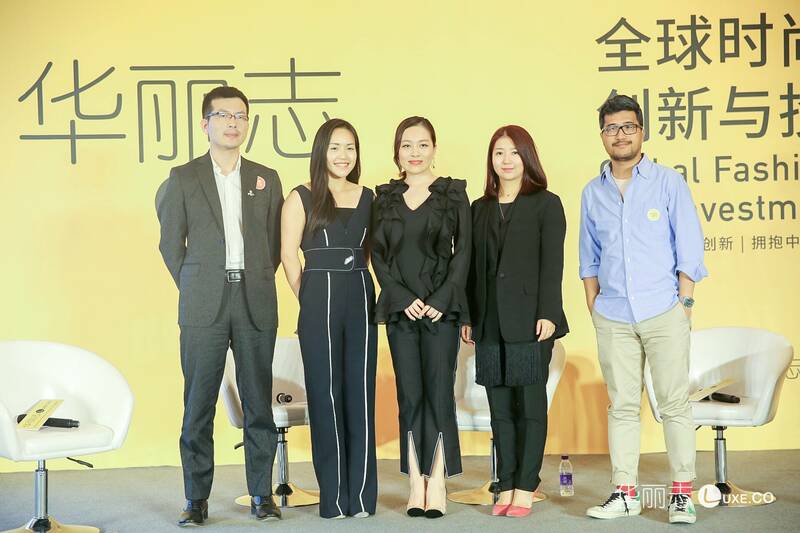 Luxe.Co also invited other outstanding entrepreneurs for this roundtable, Ming Yan, Founder and CEO of LOOK (严明，LOOK创始人和CEO) , Yuxuan Leng, CEO of Cosmo Love ( 冷雨璇, 时尚致爱CEO) , and Jun Xu, Founder of Meiweirensheng (徐军，美味人生创始人）. Mengyuan Liu is the founder of YCloset. Established in 2015, YCloset is an innovative women’s fashion rental APP, providing convenient monthly fashion rental services for millions of Chinese women. By satisfying women’s needs to change outfits constantly, YCloset is considered the “Rent the Runway” in China. Users pay a fixed monthly membership fee and enjoy unlimited access to millions of fashion brands at YCloset APP, free of charge and shipment. YCloset has completed Series C financing, invested jointly by Alibaba, Softbank China and Sequoia Capital. Mengyuan Liu: Before starting entrepreneurship, I had worked for fashion media for ten years. I love this industry. In addition to the glamour of fashion, I want people to really experience them. Therefore I thought of the “co-sharing” model. People can co-share something better with less cost. That’s my initiative. We do not need to think about what the trend of investment is, or whether co-sharing economy or new retail is popular. The most important is the user value. We make efforts to provide better services and help them no longer worry about lack of clothing in their wardrobe. To make people more fashionable is our goal. Mengyuan Liu: The goal and vision of YCloset are to serve more people and help solve problems for young people with a pursuit for beauty and fashion. It is difficult to find them and persuade them to rent clothing and co-share a cloud-closet with a monthly fee. Finding target customer accurately is a cold start. We went live online in January 2016. We have enjoyed two benefits from the social development. At the early days of entrepreneurship, I heard a lot of different voice. Why are they willing to rent clothes? Will they return? In the process of entrepreneurship, more and more institutional platforms are willing to invest money, resources and traffic flows to build a credit system. When the whole society becomes more harmonious and beautiful, all businesses are willing to share the credit system, which provides a convenient environment for users. They find that they can rent things with credit and enjoy a variety of lifestyles. We ride on this benefit of credit. Every user is a media with a voice now. One girl finds that she can try different brands and discover a new self out of her comfort zone. She will share this cool thing with her friends and colleagues. In this way, YCloset can spread out among users unintentionally without any advertisement. We benefited from the rise of fashion content and word-of-mouth. Mengyuan Liu: We are an experience-based scenario e-commerce. Members can try and rent before making purchase decisions. We encourage users to try new brands or styles that they are not familiar with. Then they can decide which ones to keep. This is different from the traditional logic. From the width, we are similar to a multi-brand store. From the depth, we are an e-commerce. Our positioning is similar to reinventing brands or helping brands find new target customers.